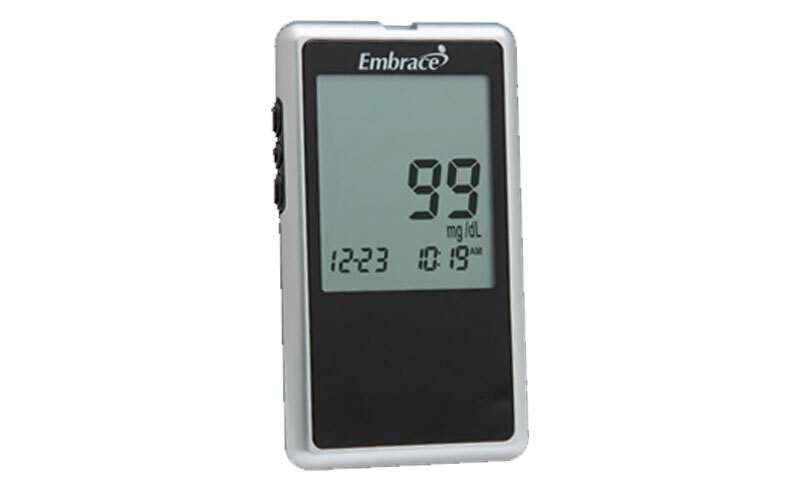 The new Embrace monitor is an innovative blood glucose monitoring system that delivers dependable results at an affordable price. Walking you through the testing procedure step-by-step, the Embrace provides visual and audible results in English or Spanish. The Embrace is also available in a non talking version. The Embrace is easy to use and has a look and feel that has been specially designed to address the needs of the Medicare patient.